Kaufman’s theory is that when starting something new, with just “20 hours of focused deliberate practice”, one can go ‘from being grossly incompetent at knowing it to being reasonably good’. By precommitting to the 20 hours Kaufman argues that we can overcome what he calls the “initial frustration barrier”, that feeling of being stupid that causes people to quit too early before they reap the rewards. To prove his theory, Kaufman wows the audience with his ukulele playing skills, the final completion of his 20 hours learning the ukulele. So, impressed by Kaufman’s presentation, I decided to put his theory to the test with a more difficult instrument to learn, the acoustic guitar. Beginning August 31st, I started the first of 10 private lessons with a full time music instructor based in Cabra, on the North side of Dublin. Not the handiest location for me, but after speaking to a few people offering lessons Michael seemed like a sound guy who knew his stuff. Turned out, it was a good call and the weekly regiment of mid-week lessons kept me motivated. What comes under “focused deliberate practice” is open to debate, but my weekly schedule has been a 1 hour lesson on a Wednesday night, following by a little practice on my own every day. Over the last 12 weeks, I have averaged about 3.5 to 4 hours a week of practice in addition to my weekly lesson. My aim was to do a little bit every day in order to build muscle memory to make playing more natural. When I first tried to play a chord I couldn’t even imagine how my hand could make the shape naturally. Everything felt like a stretch for my fingers. Pushing on the strings was even a challenge, to the point of physical pain over the first 3-4 weeks. My fingers were killing me! Lesson #1: Introduction to guitar and how it works. Learned intros to Metallica’s “Nothing Else Matters” and “Seven Nation Army” from the White Stripes. Lesson #2: Introduction to chords and finger placement to assist in natural transition. Focused on the chords D and G. Also, introduced to the REM intro. Lesson #3: Introduced to the E minor chord and the C chord. Practice song “Zombie” by the Cranberries. Lesson #4: Introduced to the F minor chord and the A minor chord. Practice song “Ho Hey” by the Lumineers. Lesson #5: Introduced to the E Major chord and the A Major chord, Asus2. Practice song “Black” by Pearl Jam. Lesson #6: Pearl Jam song recap, introduced to the guitar solo part. “Smoke on the Water” intro by Deep Purple. Lesson #7: New practice song “Hurt” by the Johnny Cash. Lesson #8: Introduced to bar chords, the B minor chord. Practice song “Last Kiss” by Pearl Jam. Lesson #9: Introduced to the D minor chord. More on reading TAB. Lesson #10/#11: Introduced to the power chords. Rocky film intro. Lesson # 12: Introduced to scale and “Pentatonic” scale. After 12 weeks of lessons, I have made huge progress but most importantly of all I am now at the stage where I get enjoyment from practicing on the guitar, even if I am not at the level I want to get to. I also committed to another 10 lessons with my music instructor, to continue my learning. There is a huge amount still to learn!! 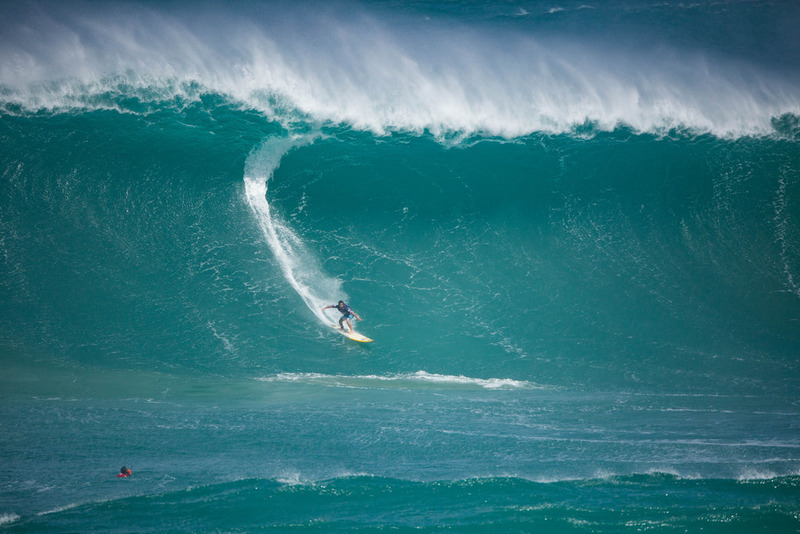 In terms of progress, I will use a surfing analogy based on my experience surfing in Sydney for four months. When you first start surfing you realise just how difficult it is to catch a wave, you can have days of frustration. Eventually, you catch a wave sweetly, for a beginner that is, which inspires you to keep going. However, even when you have reached the stage where you can catch waves more regularly, just the small ones, it is hard to feel comfortable calling yourself a surfer when you are alongside the people surfing for years. The same holds with guitar. I can’t say I am yet comfortable to say ‘I play the guitar’. But I am prepared to continue catching the small waves and hopefully this time next year I could be catching some big ones! As Stephen Francis, founder of the famous Jamaican MVP Track and Field Club, says: “The art of a successful mindset is to view your victories as a beginning and not as a conclusion”.